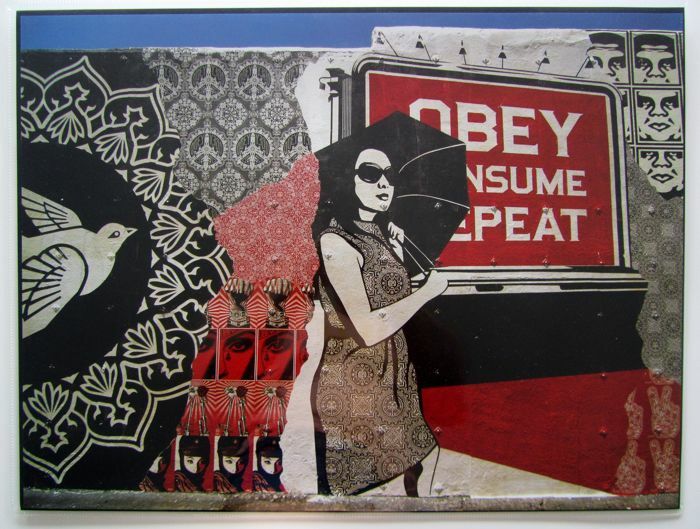 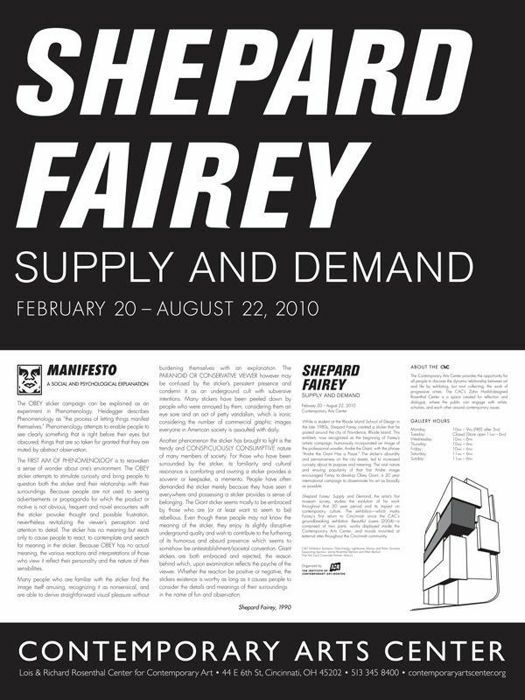 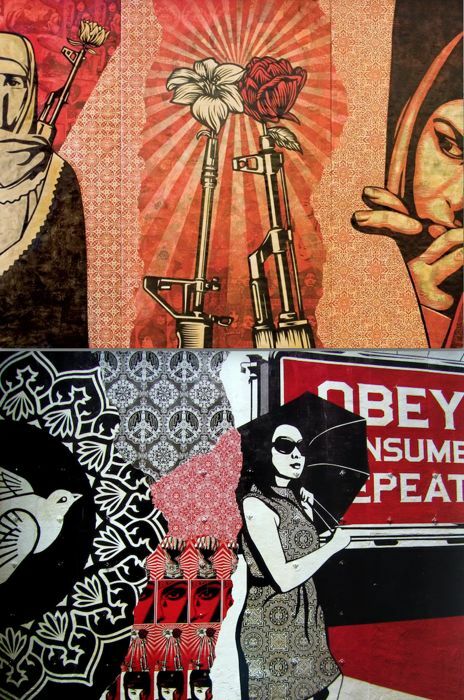 1) Supply & Demand - Exhibition print issued on the occasion of Shepard Fairey's retrospective Supply & Demand at the Contemporary Arts Center in Cincinnati. 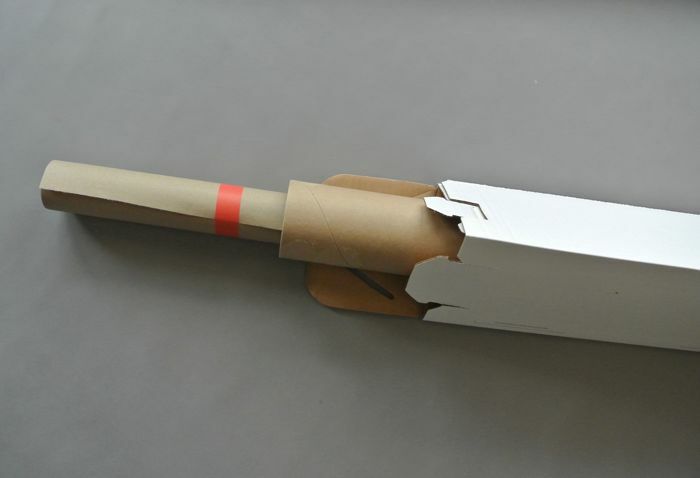 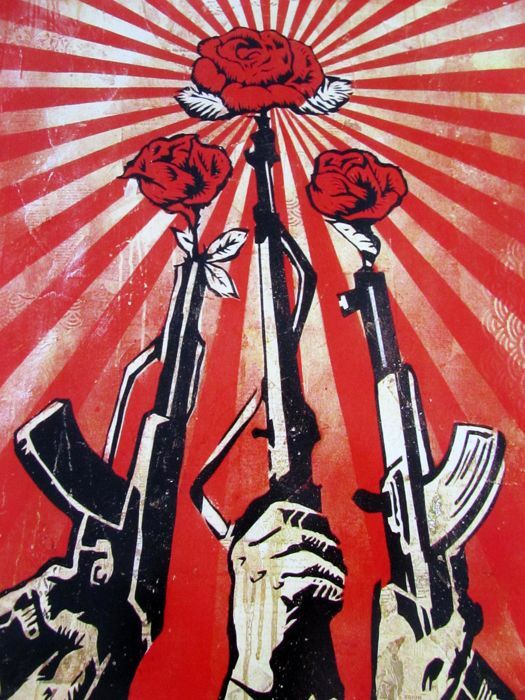 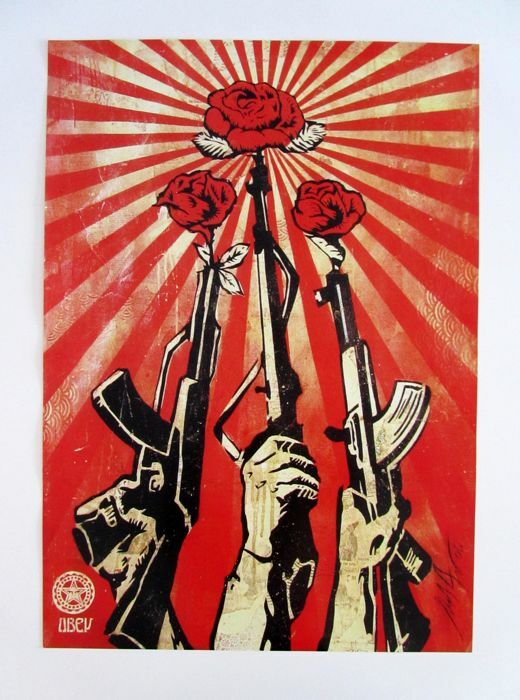 2) Guns & Roses - Poster also issued at the Supply & Demand Retrospective to celebrate the release of the 20 year edition of Supply & Demand book. 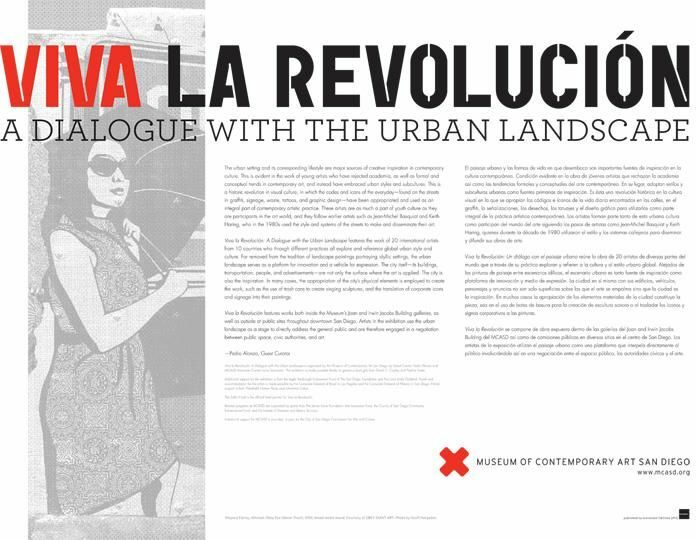 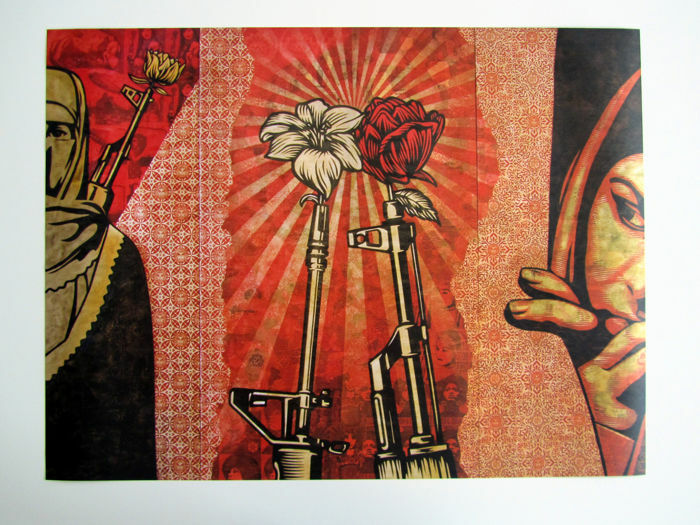 3) Viva La Revolucion - Exhibition print issued on the occasion of Shepard Fairey's Viva La Revolucion exhibition at the Museum of Contemporary Art in San Diego, CA. 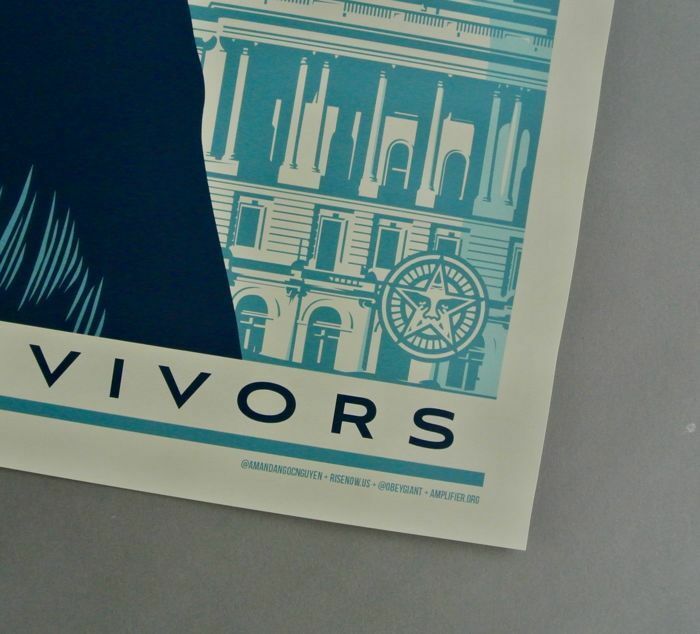 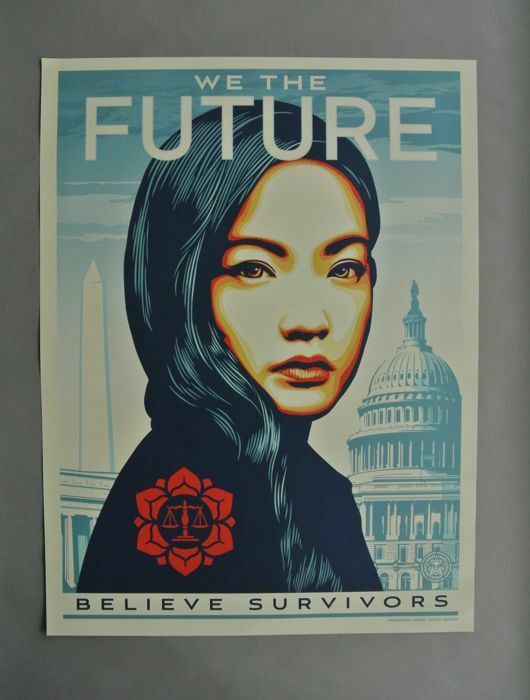 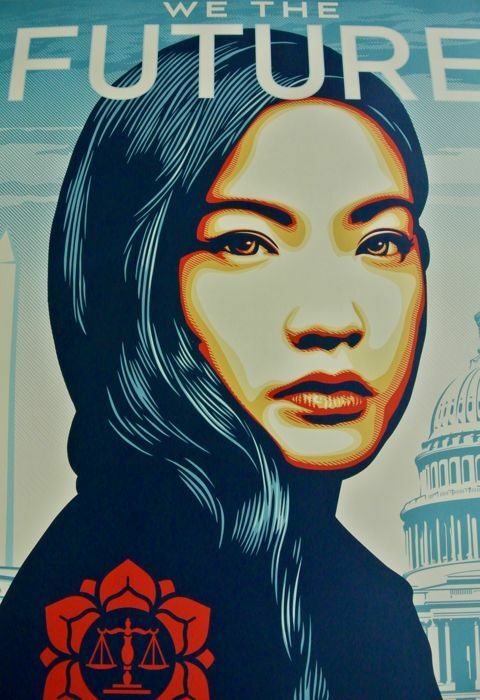 4) Winning bidder will also receive an official We the Future Believe Survivors poster created by Shepard Fairey for the We the Future: Art for Classrooms and Beyond social awareness campaign.